Once the malarial parasite was identified as the cause of disease, it quickly became apparent that illness and death were linked with parasite invasion into bloodstream and subsequent parasite growth within (and release from) the erythrocytes. By the start of the 20th century, two major theories, capillary blockage and toxicity of the parasites themselves, had been proposed to explain morbidity and mortality. Thus, the study of malarial disease is not a settled story requiring regular updates, but one containing, from its beginning, an unresolved tension. Vascular occlusion and malarial toxin (nowadays vascular occlusion and inflammatory cytokines) have been alternative approaches to understanding malarial disease as a whole, as well as the coma, for over a century, and the two have often been discussed side by side [5, 20, 21]. The presence of hyperlactataemia, hypoglycaemia, and metabolic acidosis, all three consistent with a patient being forced to rely on anaerobic glycolysis for energy production, have provided a consensus that hypoxia is central to disease pathogenesis in falciparum malaria. As sum marised below, the modern literature offers two main theories for cellular hypoxia during infection; insufficient oxygen delivery to cells and impaired oxygen utilization within the cells. Both mechanisms may be governed by the host inflammatory cytokine response to infection. This chapter focuses on how an increased understanding of the molecular functions of cytokines during disease demonstrates a closer alignment between the pathogenesis of falciparum infection and other systemic infectious diseases. One hundred and twenty years ago, Golgi (of the Golgi apparatus ), noted onset of malarial fever and illness at a predictable short interval after the regular shower of new parasites were released from bursting red cells. The nature of the putative toxin so released was much discussed in the first decade of the 20th century . It was assumed to be directly toxic, in the manner of tetanus toxin. The proposal that malarial products were not harmful in themselves, but only through causing the infected host to harm itself through generating toxic amounts of molecules (pro-inflammatory cytokines) that, in lower concentrations, inhibit growth of malarial parasites did not arise until 1981 . Indeed, acceptance of the broad applicability of this concept to infectious disease in general is now sufficient for its evolution to be a subject for research . Tumour necrosis factor (TNF) is regarded as a major player, malaria being the first disease in which it was proposed to cause systemic illness and pathology . Multiple TNF promoter polymorphisms have since been independently associated with severe malaria across several geographical populations . A longitudinal study in Burkino Faso has also demonstrated several TNF promoter polymorphisms associated with the regulation of host-parasite density . The TNF concept has since begun to dominate the sepsis literature , and the virulence of different strains of influenza, a disease that is a standard clinical misdiagnosis for imported malaria, has recently been expressed in terms of their capacity to induce TNF . The critical role of TNF in both malaria and influenza pathogenesis is consistent with the clinical similarities between the diseases. Indeed, TNF infusions in tumour patients produce side effects mimicking both diseases , as discussed below. 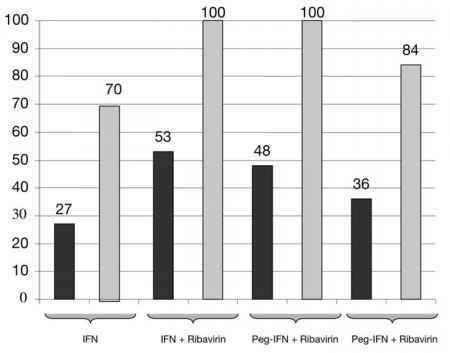 Although TNF is the prototype pro-inflammatory cytokine linked with severe malaria, other cytokines (and mediators) including interferon (IFN)-Y , its corresponding receptors IFN-y receptor-1  and IFN-a recep-tor-1 , IL-1 , IL-4  and IL-10  have all be identified through genetic association analysis to be linked with their potential regulation of malarial disease severity. - Decreased red cell deformability group box 1 (HMGB1) protein, which prolongs and amplifies inflammation [37, 38]. This molecule, normally in the cellular nucleus and previously known only for several physiological functions, now shows great promise as a therapeutic target in sepsis, in that countering it after the onset of illness protects well in experimental sepsis [39, 40]. It accumulates, in proportion to degree of illness, in serum from African children infected with falci-parum malaria . Once neutralising anti-TNF antibodies became available for human use, they were tested for efficacy against malarial disease. Unfortunately, a central tenet of the cytokine concept of infectious disease (that the pro-inflammatory cytokines that cause disease are the same mediators that, in lower concentrations, are responsible for the innate immunity that controls parasite growth) was not taken into consideration. TNF has been shown to inhibit a mouse malarial parasite in vivo , and P. falciparum in vitro, provided white cells to generate the next down-stream mediator, possibly nitric oxide (NO) , were present . This is consistent with findings in human subjects . Thus, it is not surprising that anti-TNF antibody, by removing inhibitory pressure from the pathogen, can enhance the disease in falciparum malaria , as shown 5 years earlier in human sepsis . As noted above, the idea that excessive production of inflammatory cytokines underlies the pathology of illness is used widely, from malaria across a range of conditions, infectious or otherwise. As reviewed recently , this now includes the illnesses caused by rickettsias, protozoa other than malaria, and viruses. Increased circulating levels of these cytokines have been detected in the serum very soon after onset of illness in virtually all those infectious diseases in which they have been sought. Some cytokine increased, and consequences are shown in Table 2. When rTNF was under trial in volunteers as an anti-tumour agent [49, 50] nearly 20 years ago, virtually all of the symptoms and signs they share were reproduced as side effects. This includes headache, fever and rigours, nausea and vomiting, diarrhoea, anorexia, myalgia, thrombocytopaenia, immunosuppression, and central nervous system manifestations, all of which have been shown to be caused by a mechanism involving inflammatory cytokines. The rate, timing and intensity of cytokine release vary in different disease states, and provide them with somewhat individual clinical pictures, but the fundamentals remain. Nevertheless, the clinical patterns generated are remarkably close, in that, at least in some populations, clinical features cannot predict a diagnosis of malaria from other causes of fever . Mature erythrocytic forms of P. falciparum are not seen in peripheral blood smears, and cause the erythrocytes they inhabit to adhere to the walls of venules and capillaries. From this observation arose the widely held view that much of the pathology following malarial infection is explained through parasite sequestration causing impairment of microvascular flow. Sequestration certainly occurs, since the life cycle dictates this. However, whether the temporal and anatomical patterns of sequestration are the same in both individuals with fatal disease and in parasite tolerant individuals has not been ascertained. Consequently, whether sequestration is the principal instigator of local pathology, or whether sequestration is an associated feature of all malarial infections with local pathology determined by other factors in the host response to the infection, e.g. a local imbalance of inflammatory mediators, has not been fully elucidated. Erythrocyte cyto-adherence (irrespective of whether this adhesive process is directly or indirectly due to parasite sequestration) has repeatedly been shown to be mediated through a series of host-derived ligands. CD36 and thrombospondin were the first described endothelial receptors that bound infected red blood cells (RBCs) [52, 53], with most studied wild parasite isolates demonstrating adhesion to CD36 . More recently, it has been shown that P. falciparum also interacts with other host adhesion receptors, i.e. intercellular adhesion molecule-1 (ICAM-1 CD54), vascular cell adhesion molecule-1 (VCAM-1 CD106) and E-selectin [55, 56]. Certain adhesive phenotypes, such as rosetting (the spontaneous tethering of infected and non-infected RBCs) and clumping (tethering of infected RBCs through platelets) have been preferentially associated with severe malarial disease [57, 58]. CD36 is involved in both mechanisms of adhesion, and a non-sense mutation in the gene encoding for CD36 has also been associated with protection from severe malaria . Polymorphisms in the gene encoding ICAM-1 have also been associated with susceptibility to severe disease . Furthermore, ICAM-1, together with VCAM and E-selectin, are up-regulated by TNF, with circulating levels of these ligands shown to be increased in severe malaria compared to uncomplicated infection . Sequestration during falciparum malaria appears to be concentrated in the brain and placenta. There is some evidence to suggest that the propensity of inflammatory cytokines to up-regulate cell adhesion molecules, secondary to local variation in the density of thrombomodulin, is potentially higher in the microvasculature of the brain and placenta compared to other tissues. As reviewed , TNF and IL-1 increase tissue factor expression on endothelial cells, thereby initiating pathways that generate thrombin . When thrombin binds to thrombomodulin on the endothelial cell surface, protein C is activated, which in turn can lead to further downstream activation of the coagulation cascade. Therefore vasculature with lowest throm-bomodulin densities on the endothelial cell surface (brain least, placenta next least, and other organs more ) will have more unbound thrombin available for its other functions on activated endothelium. These other functions include up-regulation of adhesion molecules such as selectins, ICAM-1, VCAM-1  and monocyte chemotactic protein-1 (MCP-1) . Therefore, up-regulation of adhesion molecules within the cerebral vessels may occur as a local endothelial response to systemic inflammation and may not necessarily be precipitated by parasite sequestration. Anaemia is another obvious way in which too little oxygen reaches cells, and thus their mitochondria . As recently reviewed , critical illness associated with an inflammatory response invariably causes multifactorial anaemia. Obviously a high parasite load in malaria indicates that the infected RBCs will soon burst when the next generation of erythrocytic forms escapes, but anaemia does not correlate with parasitaemia, and sometimes is extreme when very few parasites are, or have been, present. The severe anaemia in transgenic mice expressing human TNF  incriminates the inflammatory response itself, so anaemia and mitochondrial dysfunction (see Mitochondrial dysfunction section below), both consequences of systemic inflammation, can be expected to coexist, and both contribute to total energy depletion. The lifespan of an RBC is, in part, limited by how long it can remain flexible enough to squeeze through fenestrations in specialised vessels in the red pulp of the spleen, and thus avoid phagocytosis by adjacent macrophages. Normally this loss is balanced by erythropoiesis, and haematocrit remains normal. If RBCs develop a premature loss of deformability they are removed from the circulation earlier. This loss of deformability happens to both infected and non-infected red cells in malaria, whether caused by P. vivax or P. falciparum. Under physiological conditions, erythrocytes (and other cells) control the passive influx of osmotic active solutes (especially Na+) via an active, energy-dependent elimination of these solutes using Na+/K+-ATPase. This prevents intracellular accumulation of osmotically active solutes, preventing a subsequent influx of water, cell swelling and loss of cell integrity. During human  and monkey  malaria infection, intracellular Na+ accumulates within erythrocytes (both parasitised and non-parasitised) implying that this Na+/K+ pump is impaired during the disease process. Parallel changes in the ionic content of erythrocytes have been documented in a sepsis model of infection . Similarly, reduction in erythrocyte deformability was shown to be associated with increased NO, an inhibitor of this membrane pump , in another sepsis model . Since inhibition of the Na+/K+ pump in vitro correlates with both reduced red cell deformability and decreased red cell filterability , any factor that inhibits the Na+/K+ pump could potentially worsen anaemia. Identification of inducible NO synthase (iNOS) activity, as one factor influencing red cell deformability, suggests that a pro-inflammatory milieu  may again govern the reduction in red cell deformability observed during malaria infection. Originally observed in uraemic patients, poor red cell deformability was recognised in a small pilot study of malaria patients in 1985 . It was reported soon afterwards in sepsis [77, 78], and subsequently studied in fal-ciparum malaria with a view to understanding both circulatory obstruction  and anaemia . It seems clear that a short life (poor deformability), and a slow replacement rate (dyserythropoiesis, below) can combine to cause severe anaemia in various diseases, particularly in chronic infections such as malaria. When red cells have a shortened lifespan, e.g. secondary to reduced eryth-rocyte deformability, replacement by new recruits is vital to avoid anaemia. Unfortunately, the same inflammatory cytokines that shorten lifespan also retard replacement. Some years ago researchers began to stress the contribution of bone marrow dyserythropoiesis to the anaemia of falciparum malaria [81, 82]. A group in Oxford , seeking an explanation for this dyserythropoiesis through an electron microscopy study of bone marrow, observed sequestration of parasitised red cells and argued that this caused the bone marrow dysfunction in falciparum malaria by restricting blood flow and thus inducing hypoxic changes. This idea proved inadequate, however, when this same group subsequently reported dyserythropoiesis and erythrophagocytosis in vivax malaria, in which parasitised red cells do not sequester . Some time ago an undefined product in macrophage supernatants , later identified as TNF , was found to inhibit the growth and differentiation of erythroid progenitor cells. When rTNF became available, the dyserythropoiesis and erythrophagocytosis seen in terminal Plasmodium vinckei-infected mice was reproduced by giving a single injection early in the course of the infection . Phagocytosis of erythroblasts in bone marrow, a phenomenon also reported by Wickramasinghe et al [83, 84] in human malaria, also occurred. Decreased erythropoiesis was subsequently reported in mice receiving continuous TNF infusions via implanted osmotic pumps, and mice expressing high levels of human TNF have been shown to become markedly anaemic during malaria infections , even though parasite numbers, and therefore red cell loss post-schizogony, are considerably reduced. The past decade has seen an expansion of this line of enquiry into human malaria, and also the number of cytokines, both pro-inflammatory and anti-inflammatory [88, 89] in absolute amounts and ratios [90, 91], that have been investigated in this context. Investigations have been extended to include other pro-inflammatory cytokines, such as IL-12  and FasL , and examined the role in anaemia of the persistence of cytokine production during malaria infection . Another inflammatory cytokine, macrophage inhibitory factor (MIF) that is increased in malaria, and induced by TNF, has been shown to cause dyserythropoiesis in in vitro studies on bone marrow cells [95, 96]. Thus, inflammatory cytokines generated during malaria are a major determinant of the degree to which anaemia influences the amount of oxygen that reaches tissues in malaria. Mitochondria are vital to energy (ATP) generation through cellular respiration. Cellular respiration requires oxygen and pyruvate, as well as multiple cofactors and active transport molecules. Within the matrix of the mitochondrion organelle, pyruvate is catabolised via the Krebs cycle and oxidative phosphorylation (involving NADH and FADH2) to generate ATP. When this series of reactions are 100% efficient (unlikely in vivo), 1 molecule of glucose generates 2 molecules of pyruvate, which are further catabolised to water and carbon dioxide with the concomitant generation of 36 molecules of ATP. In comparison, during anaerobic glucose catabolism, pyruvate is converted to lactate with the concomitant generation of 2 molecules of ATP, a process that also facilitates regeneration of NADH and FADH2. Evidence is accumulating that inflammatory cytokines, as released in malaria, sepsis, and viral diseases, induce mitochondrial dysfunction and dysregulate cellular respiration, resulting in the incomplete catabolism of pyruvate. The process, termed 'cytopathic hypoxia', mimics cellular hypoxia, in that it results in the incomplete catabolism of pyruvate and accumulation of lactate. Awareness of this mechanism began with oxygen tension being shown to be increased in septic rats  and patients . A cytokine model of mitochondrial dysfunction has since been developed in which impairment of cellular respiration occurs following induction of sepsis (or exposure to pro-inflammatory cytokines), despite sufficient oxygen supply [97, 100, 101]. More recently, impairment of enzyme activity associated with the mitochondrial complexes has been demonstrated in muscle biopsies retrieved from rodent models of sepsis  and septic patients [103, 104]. The observation that the inflammatory cytokines implicated in mitochondrial shutdown are prominent in both sepsis and malaria [105, 106] supports such organelle dysfunction being equally plausible in malaria. Researchers are also becoming aware that, beyond energy production, mitochondria also play a vital role in cell homeostasis through generation and detoxification of reactive oxygen species . The accelerated oxida-tive damage that accompanies sepsis could be both a cause and a consequence of cytokine-induced mitochondrial dysfunction. Interestingly, the ultrastructural damage reported to accompany mitochondrial dysfunction in sepsis  reflects Maegraith's observations in monkey malaria  decades ago.